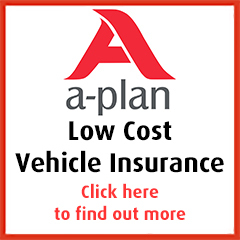 Independent vehicle finance, contract hire and car leasing brokers. We specialise in sourcing the best car contract hire and van leasing special offers for both businesses and individuals from a range of automotive funders and dealers. Move Vehicle Leasing offers Free Nationwide Delivery of any car or van direct to your home or office. With many years collective experience in the contract hire and car leasing industry, all our automotive consultants are totally committed to saving clients time and money by fulfilling all vehicle procurement, finance, contract hire and car leasing requirements. We supply and lease all makes and models of UK sourced cars and vans including special car leasing deals from prestige marques such as Audi, BMW, Infiniti, Jaguar, Land Rover, Lexus, Mercedes and Mini as well as providing free nationwide delivery of any vehicle direct to home or office. Taking the hassle out of contract hire and leasing a new car or van, Move Vehicle Leasing Gloucestershire provide a “One Stop Shop” solution for sourcing and funding vehicles together with all after sales requirements including maintenance management, keeping clients informed every step of the way. If you are looking to lease a new car or van, you may be unsure whether business contract hire or personal car leasing is the most cost effective and tax efficient way for you. We are therefore always happy to offer free unbiased contract hire and car leasing advice on the best way to fund your next car or van. Whether you need assistance in managing an entire vehicle fleet or simply require a competitive quote for one vehicle, Move Vehicle Leasing Gloucestershire will be able to help! Call the Move Vehicle Leasing Gloucestershire team now on 01285 708835 to discuss your specific car and van leasing requirements. Copyright © 2019 Move Vehicle Leasing Gloucestershire, All rights reserved.